This fresh peach appetizer will be your new favorite summer bite. You only need 5 ingredients and about 5 minutes to take these to the table or the pool! 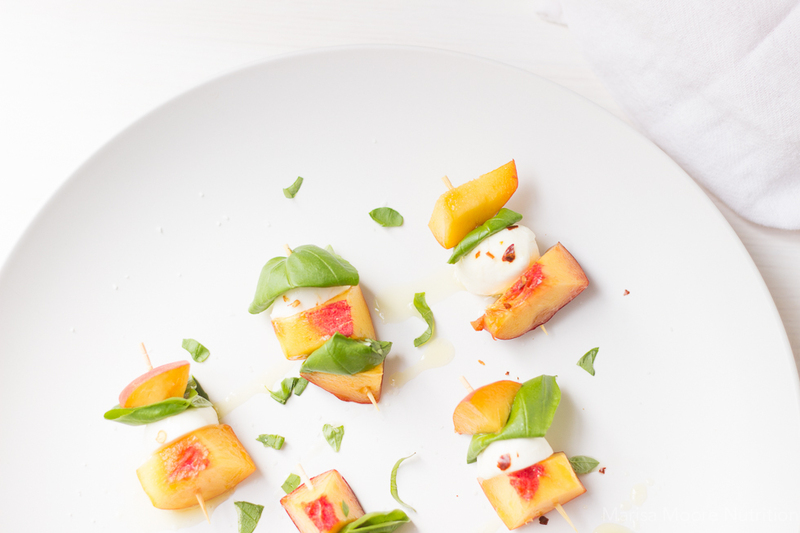 This fresh peach appetizer celebrates summer in a sweet and savory way. 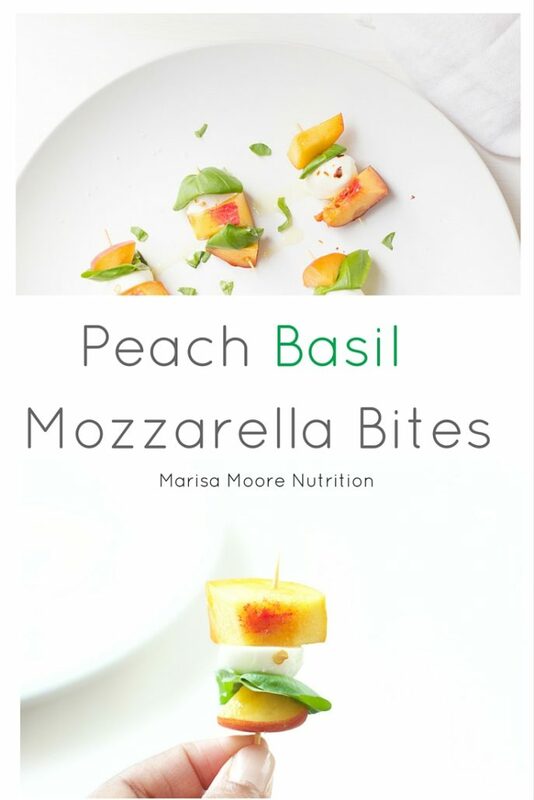 My Peach, Basil, Mozzarella Bites are so easy to make, you might just make them every day until September. Seriously. This month’s recipe redux challenge was to showcase the summer’s bounty. 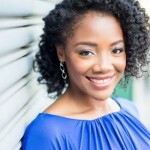 Being who I am, my first thought was … what can I make with peaches? Or maybe blueberries? Wait how about tomatoes, sweet corn, watermelon, or zucchini… geez. So many choices! I’ve been traveling every week since June 15th and haven’t had much time to spend in the kitchen. I have an abundance of basil growing in the garden and my peach buying habits teeter on the brink of hoarding. I took the easy way out with a simple and healthy appetizer. I landed on a recipe that doesn’t require cooking because… well it’s Atlanta. It’s hot! And in July, Georgia peaches are so succulently perfect that it would be a crime not to feature them. 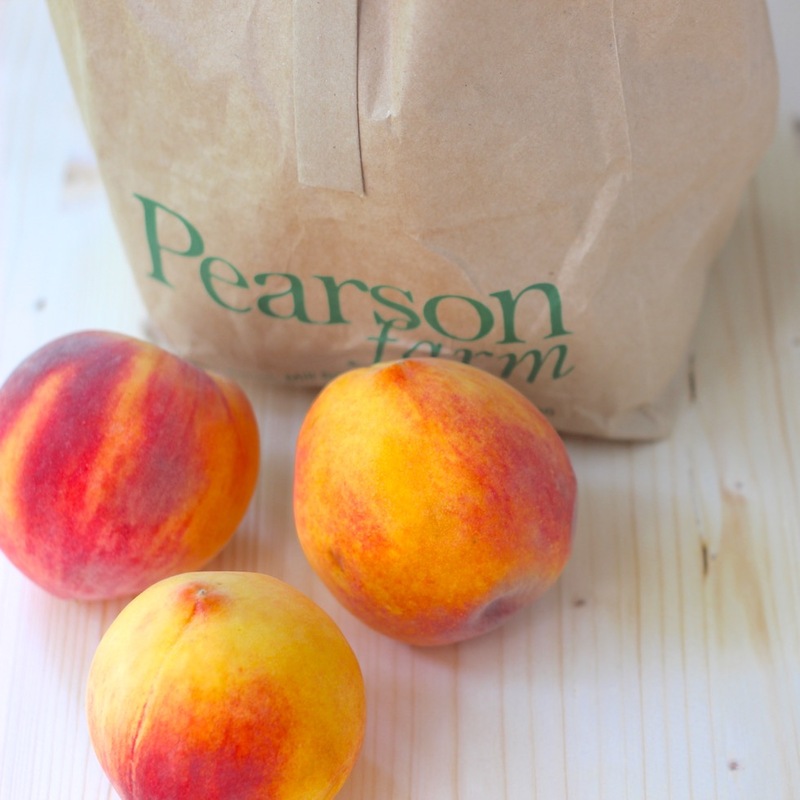 I love to get my peaches at my neighborhood farmers market from the Pearson Farms peach stand. They are perfect. No kidding. With only a few weeks of peach perfection to go, I had to use them in a recipe. These peaches need very little improvement but basil is always a tasty addition and a sprinkle of salt and heat help to balance the sweetness. The mozzarella adds a little protein for satiety. That means more time chilling out versus going back and forth to the kitchen for snacks. I used the leftover peaches in a Shrimp, Avocado, Peach Salad that really needs no recipe but maybe I’ll share it here next week because it makes for an easy lunch. Cut the peach slices into 2-3 chunks each. 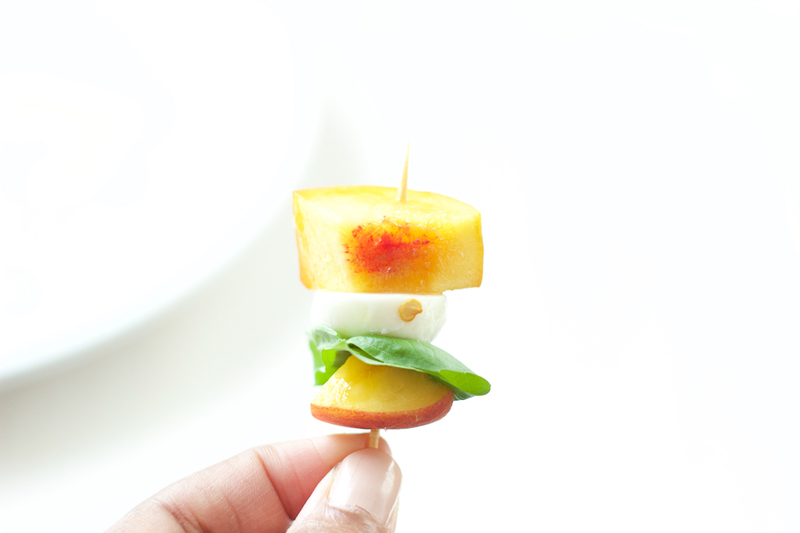 Skewer the peaches, mozzarella and a basil leaf to each toothpick. I used 2 peach chunks to one mozzarella half and one basil leaf. This is a general guideline. Stack them to suit your palate. Place the bites onto a serving platter. Drizzle with the extra virgin olive oil, sprinkle with kosher salt and optional red pepper flakes to taste. This recipe was inspired by the many Peach Caprese Salads out there like this one from Real Simple. This version makes a quick and easy snack or appetizer for your next party or pool lounging session. Add a balsamic drizzle for extra flavor and flair.